Home Blogs	Thank you – the only words as a parent you should say to the coach? Speak to any great sportsman or anyone involved in adult sport and they will always have a memory of a great coach or coaches. Somebody that made the difference! They will be able to give you anecdotal evidence of what made those coaches great and it could have been their technical expertise, their emotional support or the simple fact that they made it fun. 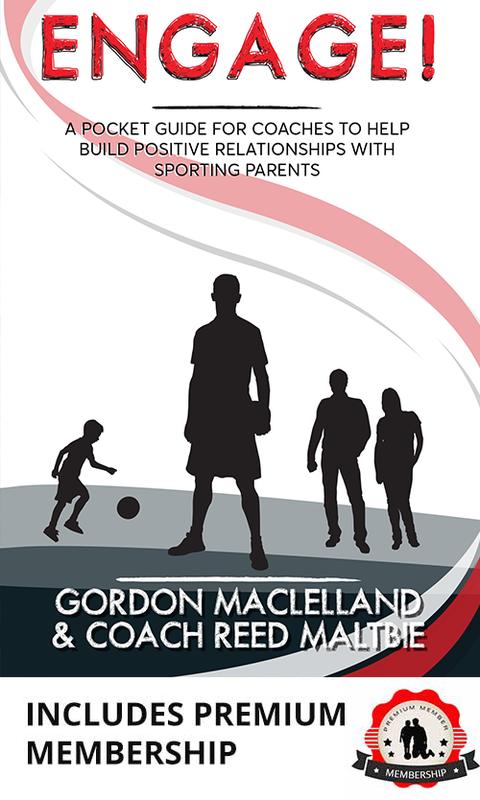 Unfortunately, coaches have now become targets for parents to voice their dissatisfaction over team selection, coaching methods and why their child is not performing as well as another. Many coaches are volunteers who give time away from their families, are mostly unpaid and who do it for the good of the game to give younger people the opportunity to play sport. Without the coaches and volunteers at grassroots level we would struggle to give children some of the opportunities that they have and they deserve. The relationship between child, parent and coach is vital if the most important person- the child- is going to achieve the best that they are capable of. The three must work in harmony together to create a fulfilling environment for all involved. The reality in all of this is that there are good coaches and some who do not quite hit the mark. Without parental opinion the children would be free to make their own minds up about the coaches without us as adults making the judgements for them. There can be no worse sight than a young player disagreeing with his coach, showing negative body language and a lack of respect for the coach and the rest of his team mates. More often than not this will have been caused by a discussion between parent and child, who by nature will always side with their mum or dad and take it back on to the training ground and pitch with them. As parents our perception and ability to be objective whilst watching is skewed, this is due the fact that we have a heavy emotional attachment to what is going on. The importance of self control and not reacting immediately to a situation is of paramount importance. It is not just in grassroots clubs that we have the problem; schools are suffering a similar issue. Coaches who now see parents in the corridors or on the sidelines and immediately do everything from pretending they are on the phone and being in a rush to avoid getting caught in a conversation. Sport has always seemed to welcome more opinion than most other fields. People who watch the game who think that they are experts just because they had some playing experience of have watched and listened to matches on the TV. If I can put this into perspective, would we ever dream of going into the back of a play and telling the producer what they could have done differently? Would we ever go into the back of a restaurant and offer our opinions and advice to the chef creating the meal? Of course we would not. It should be the same on the sports field. No matter how you are feeling- Thank you to the coach may just be the best two words!